For three decades the Plaza Advisory Group's mission has never wavered. We seek to enhance our clients lives by helping them proactively plan and manage the future. Since our 1985 beginning, the focus of Plaza's proactive financial specialists has been helping people make smart decisions and durable plans before, during, and after major life and business events. After 30 years in the business, we continue to deliver the ideal balance of customer service and financial knowledge anchored by our signature reliance on researched-based financial education. We believe this potent combination helps our clients to make good decisions, eliminate blind spots, and build a trusted, long-term relationship with our team. Finding yourself amid change - whether in life or business, or both - is rife with emotion, stress and, sometimes, indecision. Direction can be elusive, but the right tools can help grasp, assess, and manage your financial future, and give you some clarity. 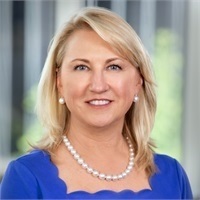 St. Louis-based Plaza Advisory Group recognized this situation and its financial dynamics. 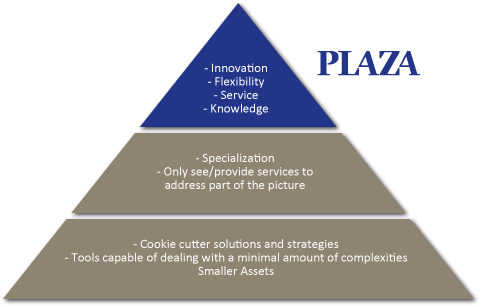 Plaza put together a knowledgeable and service-oriented team of wealth advisors capable of delivering the innovative and flexible financial plans and services in demand by the small, but diverse group comprising the Plaza Advisory's client profile in St. Louis and beyond the region.